February was marked with a spur-of-the-moment trip to the South of Spain where friends of mine now live. For the past 2 years, ever since they left Dublin, I had been promising I would come and visit. The stars finally aligned and I got to see their ‘new’ surroundings and their adorable French bulldogs, Luffy and Nami (they have an Instagram account, go follow them for daily cuteness!). They live next to the border of Gibraltar, on the Spanish side. The weather was a bit miserable which was a-ok with me as it was still miles better than icy Dublin and I got to spend lots of time with the puppies. My friend Linda generously took a day off work to show me around. We went to Bolonia, a beautiful white-sanded beach, but we had to make a fast retreat as the winds were too strong. We chose to go to the nearby town of Tarifa, primarily famous among the kite-surfing community but the old town charmed us with its white and yellow Andalusian architecture and its cobbled streets. I also went to Gibraltar during a hot sunny day. Unfortunately, that week, the cable cars leading to the Rock were under maintenance so I didn’t get to see the infamous monkeys running wild. So instead, I decided to go for the local Botanic Gardens. It took about 15 minutes to walk to the end of the main artery of the peninsula, a pedestrian shopping street, to get to my destination. Gibraltar is really that small. The gardens were so peaceful, full of cacti and I did get to see some monkeys! But they were in an animal shelter in the park’s corner, along with some hyper bats and chatty otters. It’s with a refreshed mind that I came back to Dublin, relieved to have missed the tail of Winter and that Spring is now showing signs of its imminent arrival. In honor of the change of the season, I did a little spring clean of my desk area and added some new bits from Tiger to freshen up the place. 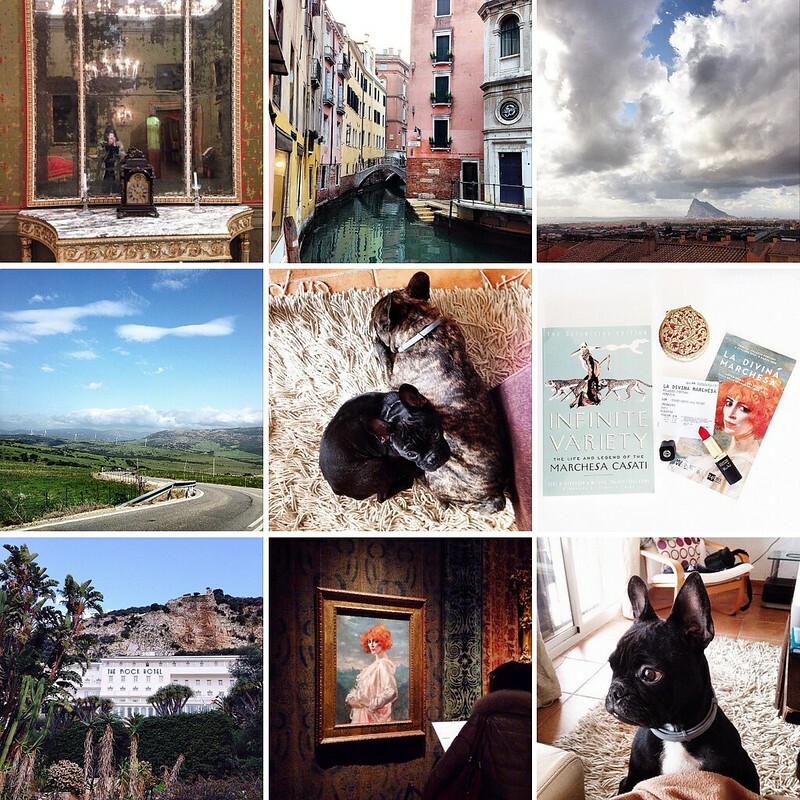 Add to the mix some ‘Throwback Thursdays’ featuring photos of my trip in Venice and you have February 2015 as it appears on my Instagram feed!